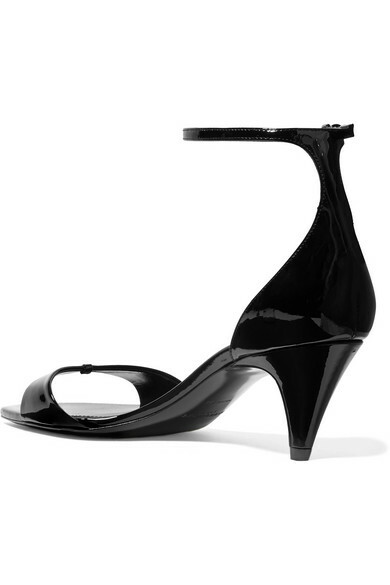 Saint Laurent's 'Charlotte' sandals have a distinct retro feel that's reminiscent of our favorite '90s styles. Crafted in Italy from patent-leather, they're minimally detailed with two delicate straps and have a square-toe silhouette. 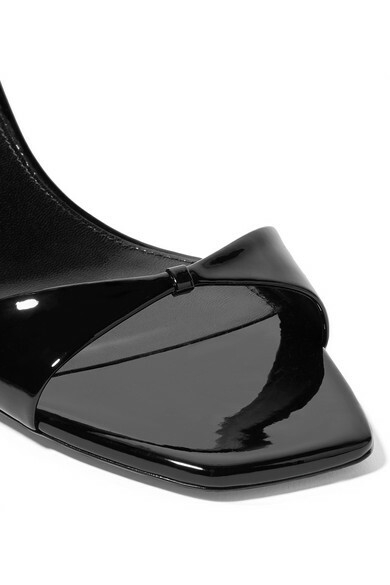 The kitten heel provides just enough lift, so you can wear them comfortably all night. Wear them with semi-sheer black tights and a mini skirt to really embrace the era. Shown here with: Saint Laurent Blouse, Saint Laurent Skirt, Saint Laurent Clutch, Falke Tights, Saint Laurent Earrings.